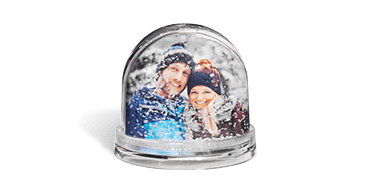 The snow globe with your photo. Perfect as eye-catcher on your desk or as a personal gift. A sure hit for lovers everywhere! 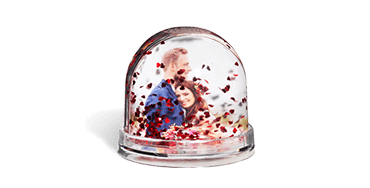 ... and those who want to be there: the glitter dome with love hearts and your personal favorite picture. Checking the time can now bring back font memories with a unique photo clock made of glass. Give the time a personal touch. 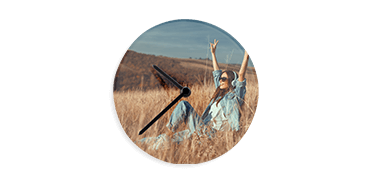 Treat yourself and your loved ones to unforgettable moments on a clock made ​​of real glass. 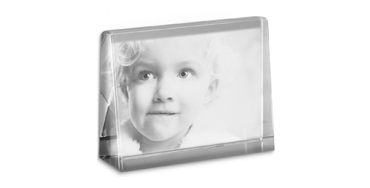 Select your favourite photo to print on our glass photo blocks - the 19mm thick free-standing glass block is a beautiful addition to your office or home. 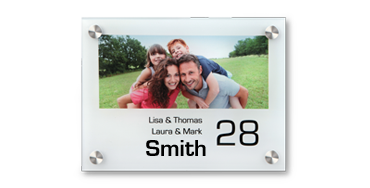 Be creative with our design template to add your personal photo, house number and message to greet your guests before they ring the bell! 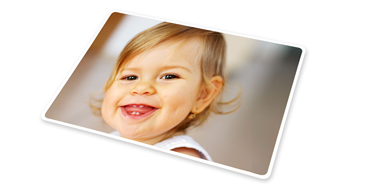 Create with your own photos a personalised placemat in seconds. A clever gift that can help you plan everyday life - secorative, beautiful to look at and very useful! 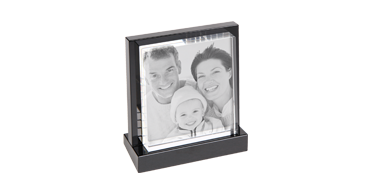 A picture and frame in one: your photo carefully laser engraved in crystal glass makes a very special photo gift. 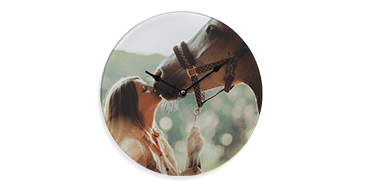 Your picture as a timeless decorative gift! 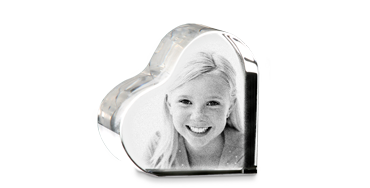 Your picture laser-engraved into top-quality crystal. 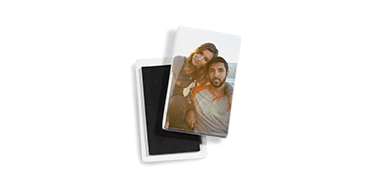 The gift idea to preserve the best memories. With this quality crystal photo heart it’s easier than ever. It is delivered in a stylish gift box.